Keep your best friend dry during rainy days with Hurtta's Rain Blocker Eco. The outer layer is made from fifteen water bottles on average with a waterproof laminated outdoor fabric underneath. Taped seams protect your dog from getting wet, and the high collar of the coat contains a rain trap, preventing any rain from entering around the dog's neck. The lower hem and the front sleeves keep the front legs and thighs dry. 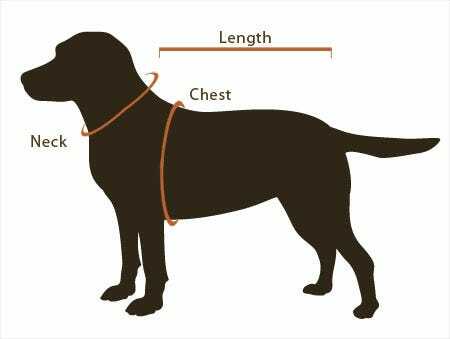 Located on the back, waist, and neck are adjustable points to fit your dog's unique shape. Found on the end of the coat are elastic bands that can be placed on the hind legs to ensure the coat stays in place during active activities. 3M reflective material can be found along the collar and thighs of the coat to make sure your dog is safe at night. Hurtta Rainblocker Eco is available in a variety of sizes. Please see the specifications tab for more information.